The Apple iWatch is something that has been rumoured for a very long time, but is a market Apple never ventured in. Apple came close to an iWatch with the iPod Nano that featured a watch interface and attracted a lot of manufacturers to design straps to mount the iPod Nano, but an official iWatch is something that never materialised. Leveraging the power of iOS, an iWatch could be the gadget we’ve all been waiting for, but it’s existance is still something that is just dreamt of. Apple declined to comment on its plans. But the exploration of such a watch leaves open lots of exciting questions: If the company does release such a product, what would it look like? Would it include Siri, the voice assistant? Would it have a version of Apple’s map software, offering real-time directions to people walking down the street? Could it receive text messages? Could it monitor a user’s health or daily activity? How much will it cost? CouldTimothy D. Cook, Apple’s chief executive, be wearing one right now, whispering sweet nothings to his wrist? Apple seemingly never release a product just to fill a gap in the market, they carefully analyse just how much a consumer needs the product, even if they are not yet aware that they need it. After careful research, design, and testing, only then will Apple release a new product. Whilst the Apple iWatch seems a nice idea on paper, and the technology within iOS and manufacturing materials is rapidly developing, the Apple iWatch remains just that, an idea on paper. 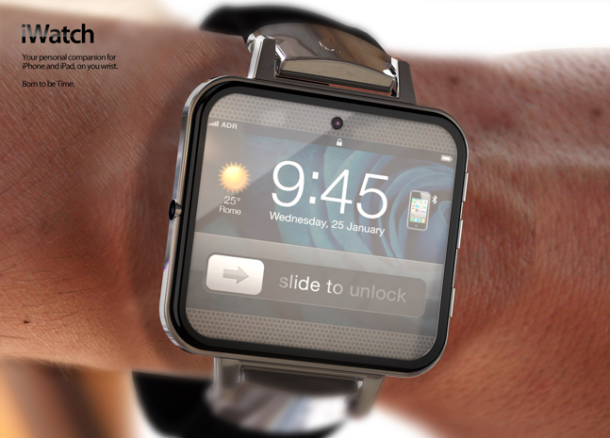 If an iWatch did exist, would you be purchasing one?